Catholic morality is expected to be good for not only Catholics but also many others. 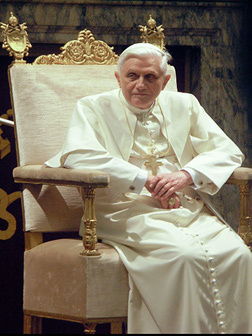 Pope Benedict XVI instructed morally on organ transplantation on November 7, 2008. 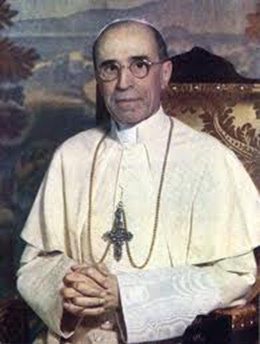 Pope Pius XII, Pope John Paul II, the Councils of Vienne and the Fifth Lateran and the Catechism of the Catholic Church also contribute related teachings. The following is a compilation of these teachings. "Individual vital organs cannot be extracted except ex cadavere, which, more-over, possesses its own dignity that must be respected"
"The principal criteria of respect for the life of the donator must always prevail so that the extraction of organs be performed only in the case of his/her true death. (cf. Compendium of the Catechism of the Catholic Church, n. 476)." "...it is not morally admissible directly to bring about the disabling mutilation or death of a human being, even in order to delay the death of other persons." "Moreover, with the approval of the said council, we reject as erroneous and contrary to the truth of the catholic faith every doctrine or proposition rashly asserting that the substance of the rational or the intellectual soul is not of itself and essentially the form of the human body, or casting doubt on this matter. In order that all may know the truth of the faith in its purity and all error may be excluded, we define that anyone who presumes henceforth to assert, defend or hold stubbornly that the rational or intellectual soul is not the form of the human body of itself and essentially, is to be considered a heretic." The Fifth Lateran Council, 19 December 1513, reaffirmed this position. The Catholic Catechism 365, citing the Council of Vienne, states that "...the unity of soul and body is so profound that one has to consider the soul to be the 'form' of the body. . . ."
"But considerations of a general nature allow us to believe that human life continues for as long as its vital functions – distinguished from the simple life of organs – manifest themselves spontaneously or even with help of artificial processes." "Public authorities and the laws which concern the use of corpses should, in general, be guided by these same moral and human considerations, since they are based on human nature itself, which takes precedence over society in the order of causality and in dignity. In particular, public authorities have the duty to supervise their enforcement and above all to take care that a 'corpse' shall not be considered and treated as such until death has been sufficiently proved." "Furthermore, a person can only donate that of which he can deprive himself without serious danger or harm to his own life or personal identity, and for a just and proportionate reason. 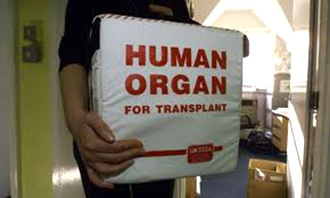 It is obvious that vital organs can only be donated after [true] death." "The problem of the moment of [true] death has serious implications at the practical level, and this aspect is also of great interest to the Church. In practice, there seems to arise a tragic dilemma. On the one hand there is the urgent need to find replacement organs for sick people who would otherwise die or at least would not recover. In other words, it is conceivable that in order to escape certain and imminent death a patient may need to receive an organ which could be provided by another patient, who may be lying next to him in hospital, but about whose death there still remains some doubt. Consequently, in the process there arises the danger of terminating a human life, of definitively disrupting the psychosomatic unity of a person. More precisely, there is a real possibility that the life whose continuation is made unsustainable by the removal of a vital organ may be that of a living person, whereas the respect due to human life absolutely prohibits the direct and positive sacrifice of that life, even though it may be for the benefit of another human being who might be felt to be entitled to preference." "Death can mean decomposition, disintegration, a separation. (cf. Salvifici Doloris, n.15; Gaudium et Spes, n. 18). It occurs when the spiritual principle which ensures the unity of the individual can no longer exercise its functions in and upon the organism, whose elements left to themselves, disintegrate." "Nor can we remain silent in the face of other more furtive, but no less serious and real, forms of euthanasia. These could occur for example when, in order to increase the availability of organs for transplants, organs are removed without respecting objective and adequate criteria which verify the death of the donor." 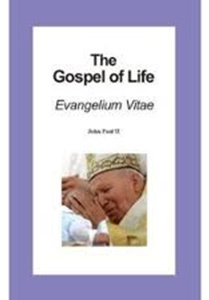 Evangelium Vitae, (n. 15) includes: "The deliberate decision to deprive an innocent human being of his life is always morally evil and can never be licit either as an end in itself or as a means to a good end." "Nothing and no one can in any way permit the killing of an innocent human being, whether a fetus or an embryo, an infant or an adult, an old person, or one suffering from an incurable disease or a person who is dying. Furthermore, no one is permitted to ask for this act of killing, either for himself or herself or for another person entrusted to his or her care, nor can he or she consent to it, either explicitly or implicitly. Nor can any authority legitimately recommend or permit such an action." "Catholic moral teaching is an essential part of our heritage of faith; we must see to it that it is faithfully transmitted, and take appropriate measures to guard the faithful from the deceit of opinions which dissent from it (cf Veritatis Splendor, 26 and 113). Although the Church often appears as a sign of contradiction, in defending the whole moral law firmly and humbly she is upholding truths which are indispensable for the good of humanity and for the safeguarding of civilization itself. Our teaching must be clear; it must recognize the drama of the human condition, in which we all struggle with sin and in which we must all strive, with the help of grace, to embrace the good (cf Gaudium et Spes, 13). Our task as teachers is to show the inviting splendor of that truth which is Jesus Christ Himself' (Veritatis Splendor, 83). Living the moral life involves holding fast to the very person of Jesus, partaking of His life and destiny, sharing in His free and loving obedience to the will of the Father." "Within the horizon of Christian anthropology, it is well known that the moment of death for each person consists in the definitive loss of the constitutive unity of body and spirit. Each human being, in fact, is alive precisely insofar as he or she is 'corpore et anima unus' ("Gaudium et Spes," 14), and he or she remains so for as long as this substantial unity-in-totality subsists. In the light of this anthropological truth, it is clear, as I have already had occasion to observe, that the death of the person, understood in this primary sense, is an event which no scientific technique or empirical method can identify directly" (Address of 29 August 2000, 4, in: AAS 92 , 824). The statements of Pope Benedict XVI, Pope Pius XII, Pope John Paul II, the Council of Vienne, the Council of the Fifth Lateran, and the Catechism of the Catholic Church, make it clear that excision of individual vital organs, i.e., organs that are single in the body, e.g., the heart and whole liver cannot be initiated when the soul-body unity is present. At the very least, if the separation of life from the body cannot be verified, or if there is doubt about the separation of life from the body, organ excision is morally prohibited and should not be allowed. See www.lifeguardianfoundation.org for more information.